Buy this item and earn 246 ClubPoints. 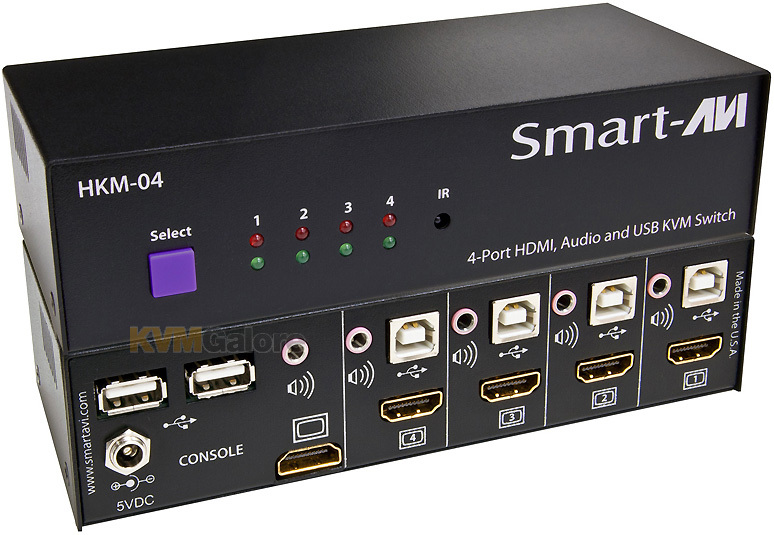 Using SmartAVI's HKM-04, users may now connect up to four computers or any devices using a HD monitor (1080p), USB 2.0 and audio display. 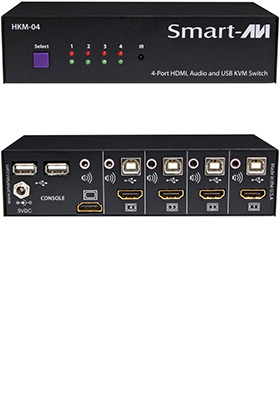 Perfect for PC and Mac systems and multi-media displays. Listed below are additional products to consider which are compatible with HKM-04. These items may be required to complete your system.